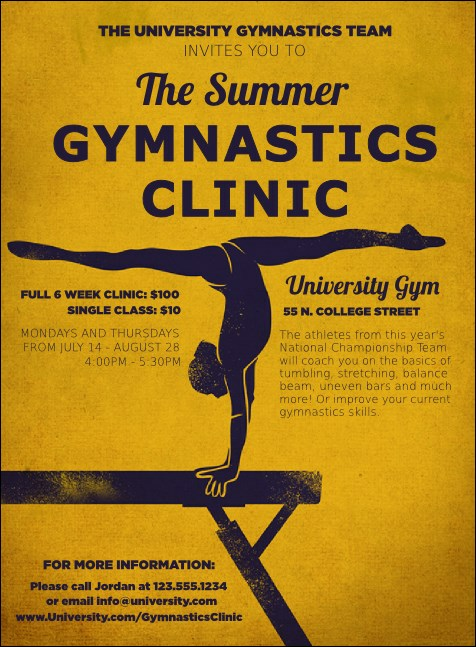 Invite beginners, elites, judges, and athletic enthusiasts alike with the Gymnastics Invitation. Featuring a graceful gymnast on the balance beam, this invitation has 23 lines of text for your event information, with striking purple and gold tones. Find more promotional materials for your sports camp with a Matching Event Kit! Send a strong message with the right invitation from TicketPrinting.com.